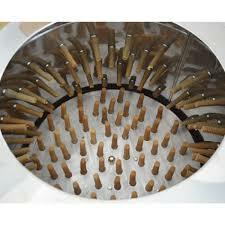 This feather plucking machine is very valuable to poultry farmers and large poultry processing ventures. 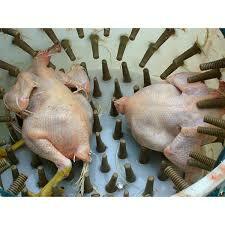 Its high output capacity of de-feathering about 120 birds in 5 minutes helps save time and labor. 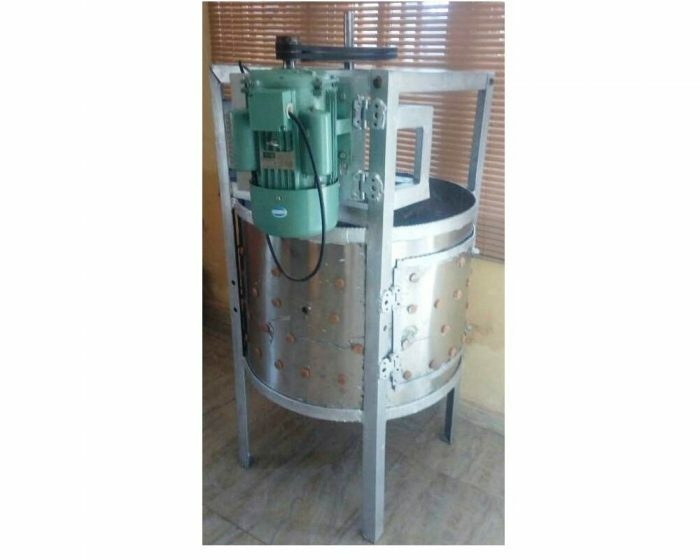 Automatic Feather Plucking Machine is recommended for removal of feathers from poultry birds (broilers, old layers, cockerels, turkeys etc) while processing. This automated plucking machine uses rubber posts protruding from the inside of a spinning/tumbling drum to pull the feathers from the bird. This process takes less than 30 seconds, whereas manual plucking typically takes several minutes. 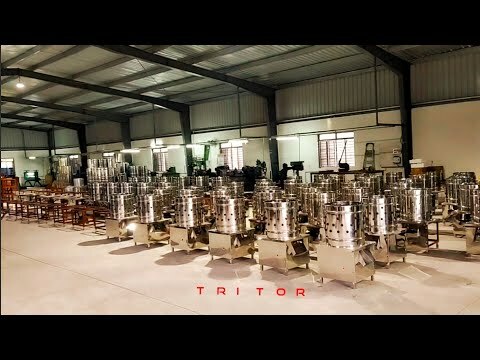 This feather plucking machine is capable of plucking 120 birds within 5 minutes. Dip the chicken in hot water (65 to 80 degrees) to scald (temperature of the water can be adjusted depending on the toughness of the skin). Turn on the machine and drop the scalded birds into the tumbling drum. Best time to turn off the machine is between 10 to 20 seconds, although this depends on the type of poultry and its skin toughness.